With mixed IIHS, Tracy results on aftermarket parts, what’s a customer, shop, insurer to do? 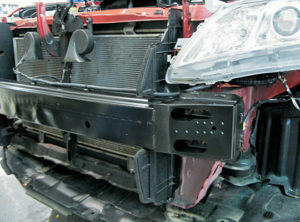 IIHS research in 2010 demonstrated that one CAPA-certified aftermarket bumper beam could successfully handle a 40 mph moderate-offset crash test, but two other non-CAPA parts weren’t acceptable substitutions for the originals. It concluded that some structural aftermarket parts would be acceptable, and others wouldn’t. 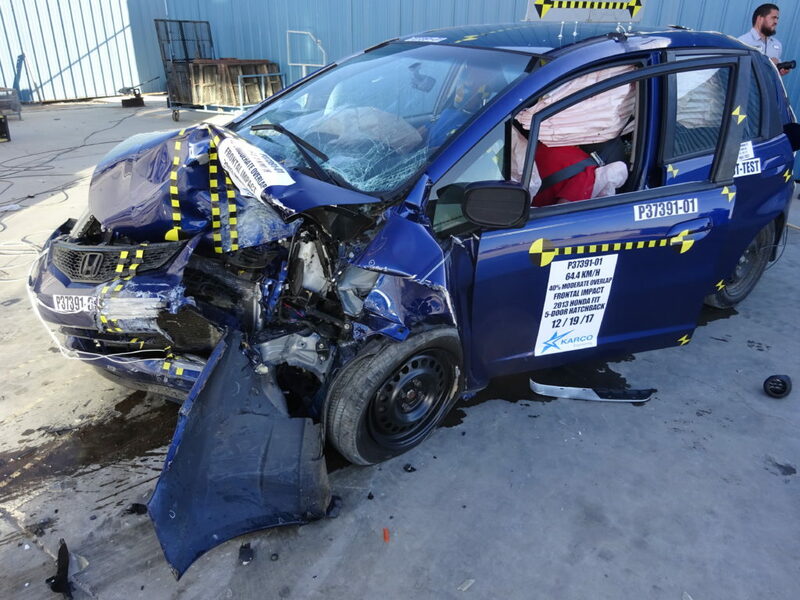 Seven years later, attorney Todd Tracy ran the same test on a 2013 Honda Fit with a mix of aftermarket parts, concluding that the components put the occupants at serious risk. The IIHS, however, observed Feb. 15 that Tracy’s data only showed increases in risk in a couple of instances, but the overall car remained protected so well that it would still receive a “Good” crash-test rating. It also suggested that Tracy had at most proved that those specific aftermarket imitations were unacceptable. The IIHS stood by its initial assessment of structural parts (and reiterated that what it viewed as cosmetic parts were irrelevant to safety). However, Zuby also acknowledged such a market makes it difficult for a consumer, insurer or collision repairer to determine which aftermarket parts would actually be safe to put on a customer’s vehicle. Honda pointed to this uncertainty when asked to comment on the IIHS’ advisory. “I think the key part of the IIHS advisory that should be looked at closely is this note from the first page ‘Our research shows that some aftermarket non-OEM parts can meet these requirements,'”Honda spokesman Chris Martin wrote in an email. “‘Some’ non-OEM parts is not very specific. The inference by IIHS is that ‘some’ do not meet the requirements. They don’t explain how a consumer is supposed to know which aftermarket parts can or cannot meet crash requirements. So what should the shop, insurer or customer do? As the IIHS noted about Tracy’s test, a single test’s results really only apply to the particular part being tested. 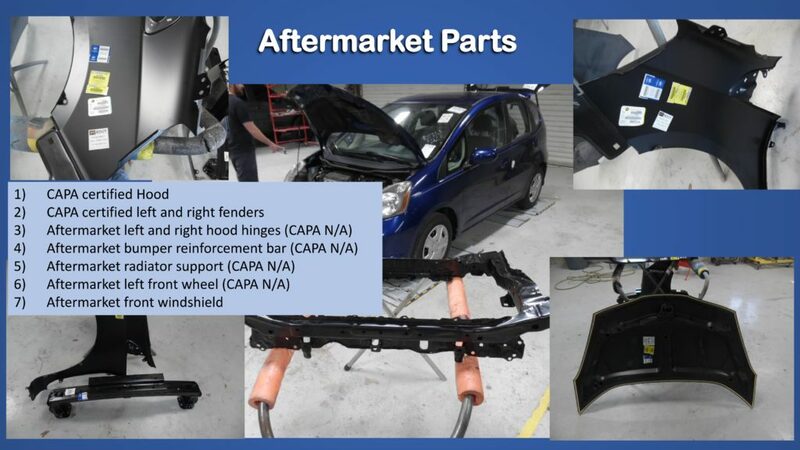 How can anyone be sure about the other aftermarket parts on the market without crash-testing each one? Zuby said a form of certification where an independent compares aftermarket parts point-by-point could work. “That gets you there,” he said. He said the IIHS hadn’t done any testing comparing aftermarket certification programs. We asked if Zuby if he would like to see greater transparency in the aftermarket parts industry. For example, a materials safety data sheet explains what a recipient can expect out of countless products. We jokingly asked if IIHS would want the job. “No, that’s not something that we would do, but I think there would be value in that being done,” Zuby said. CAPA and NSF set standards and have been transparent about them, but neither certifies every single part put up for sale. The parts which are certified seem to be presented pass-fail; repairers and consumers don’t precisely know how closely a particular imitation parts run matched the original OEM tolerances. (And the OEMs might not want to provide the latter.) According to the IIHS, this mimicry needs to be pretty dead-on if a structural part is to be trusted. Asked if a third-party certifier could truly tell parts were identical without crash-testing them, Zuby gave an interesting answer in light of IIHS’s experiments and expertise. “Crash testing is not really a good way to tell whether or not they’re the same,” he said. 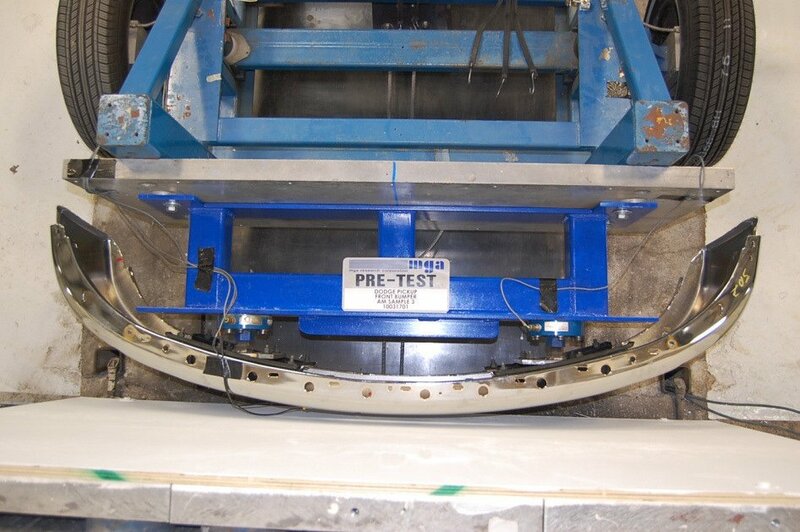 In 1998, IIHS engineers examined the repeatability of the moderate overlap front test. Engineers observed differences in HICs, ranging from 17 to 73 across four comparisons. Left femur compression differed by as much as 700 N in repeated tests. Measures of intrusion at the footrest, left and center toepan and brake pedal varied by 6, 8, 7 and 5 centimeters, respectively, across seven comparisons. Left and right instrument panel intrusion varied by up to 9 centimeters, and the A-to-B-pillar measure varied by as much as 11 cm across the same seven pairs of tests. Engineering processes exist to sample parts within an individual run and be comfortable the output is in compliance. If installed the same way, the parts should deliver the same results, according to Zuby. For example, variables like shape, thickness, material, attachment location and attachment construction could be checked against a baseline part as ways of determining equivalency without crash testing, he said. What about mixing and matching parts from multiple different aftermarket manufacturers, as Tracy’s vehicle did? 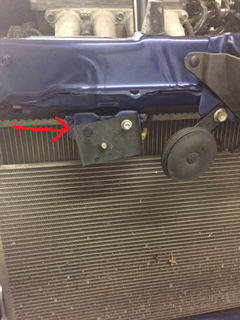 The 2013 Honda Fit’s imitation components included Certified Automotive Parts Association-certified fenders and a CAPA-certified hood; a NSF-certified bumper reinforcement beam; an uncertified aftermarket radiator support, windshield and drivers-side front wheel; and two uncertified aftermarket hood hinges, according to experiment contributor Burl’s Collision. If each individual part was close enough to the OEM original, “the repaired system should behave the way the original behaved,” Zuby said. We submitted that every OEM original part had already been crash-tested together by the IIHS as part of a system. Therefore, installing a bunch of identical new OEM parts could be done with confidence that all of them would function the same in a crash test. But that actually speaks to the IIHS’ point: If aftermarket parts are identical enough to the parts found in a new OEM parts run, by the same logic, they arguably could be considered crash-tested as a system as well. Zuby also pointed out that the process of repairing each vehicle would introduce a little variability into the test, and the IIHS’ evaluation of Tracy’s results raised the question that such external factors could have affected the results as well. Burl’s Collision, the shop which installed the parts on Tracy’s test vehicle using OEM repair specifications, said that some of the parts didn’t fit. 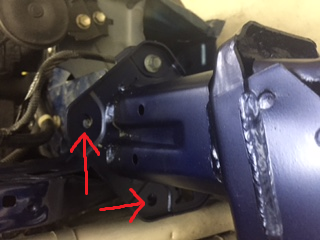 Rather than force the off-spec portions of a particular offending part to fit, the shop installed whatever sections of the part still fit and left the rest alone. “You’ve got a lot of variables that you changed compared to the baseline,” Zuby said of the 2013 Fit test. Because so many elements are different, “you really can’t tell” what item produced the relevant test results, according to Zuby. If the parts weren’t completely installed, the results couldn’t completely be attributed to the parts quality, Zuby said. The IIHS last examined aftermarket structural parts in 2010, two years before its small-overlap crash test led OEMs to rethink collision protection. Some appear to be integrating bumper reinforcement beams into how their vehicles manage small-overlap energy. We asked Zuby if IIHS planned any aftermarket bumper reinforcement crash testing in light of this. “We haven’t talked about that,” Zuby said, but “you are right” that the bumper beams are being redesigned over the narrow-offset test. The institute is trying to determine what precautions need to be taken regarding such sensors, and it recently spent time researching aftermarket windshields and windshield-mounted camera performance. IIHS colleagues at RCAR are examining bumper fascia repair, and “we’re staring to talk about doing parallel research, but we don’t have anything planned yet,” Zuby said.